Quality 500 piece personalised photo jigsaw puzzle. Other sizes available - up to 1000 piece. A keepsake personalised jigsaw puzzle of your chosen photo. 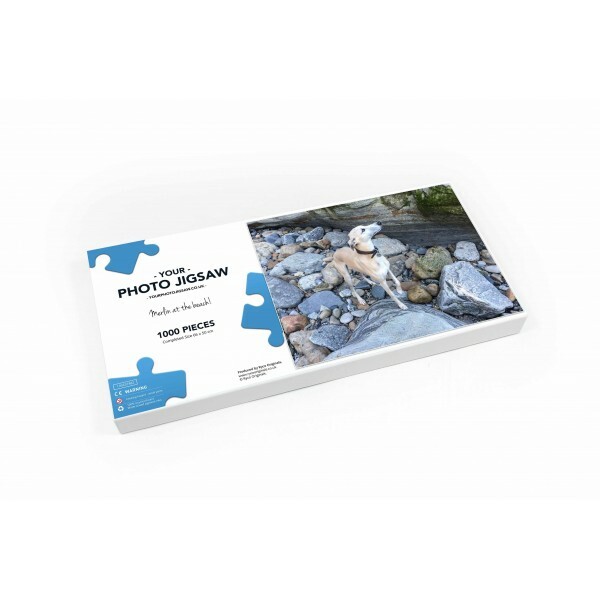 Simply upload your digital photograph (or post us a copy) and we will create a quality boxed jigsaw puzzle. The box lid will also have a copy of the image along with your chosen message. Ideal for Christmas, weddings, birthdays, mothers day, fathers day, christenings or for that someone who has everything! 500 pieces - size 50 x 38 cm (20 x 16 ins) Other sizes available. Instructions - For detailed explanation please see the instructions file in the download area below.